Preclinical findings show how tumors exploit cellular plasticity to change into resistant type. The Australian Therapeutic Goods Administration’s (TGA) recent interim decision to effectively ban nicotine-containing e-cigarettes is a harsh blow to smokers. Speedy sensor detects vesicles released by tumors in tiny drops of blood. For this latest study, researchers from 11 cancer centres in the US and Europe looked at blood samples from almost 1,300 bone marrow transplant patients to see if they could predict whether a patient will develop GVHD, and also their outlook. For this study, Dabbous and colleagues obtained data for women who received mammography screening through a large health care organization with multiple facilities in the greater metropolitan Chicago area. Among the 741,150 screening mammograms from 261,767 women included in the analysis were 12.3 percent that yielded a false positive result; the remaining 87.7 percent yielded true negative results. Appearing in the special cancer-focused February 9 issue of Cell, the article — “Implementing Genome-Driven Oncology” — presents a critically self-reflective but solutions-focused perspective on this approach to cancer treatment. Still uncertain is just how the nanoparticles reached the tumor cells. Youn says they likely traveled the same path as the rabies virus—through the central nervous system. "We are very concerned about the push to get more drugs approved, instead of effective drugs approved," said Fran Visco, president of the National Breast Cancer Coalition, who said the last game-changing breast cancer drug, Herceptin, was approved nearly 20 years ago. If long-term access to patients from LMICs is denied, the ethics of conducting such studies in LMICs should be questioned. A new study from Karolinska Institutet shows that short-course preoperative radiotherapy combined with delayed surgery reduces the adverse side-effects of rectal cancer surgery without compromising its efficacy. The results are presented in the journal The Lancet Oncology. Investors were not optimistic about the prospects for the program, however, and shares in Tracon were down 13% in after-hours trading. Combination of TRC105 and Avastin did not improve the median progression free survival versus single agent Avastin in recurrent glioblastoma patients. Combination was associated with a non-significant increase in overall survival. 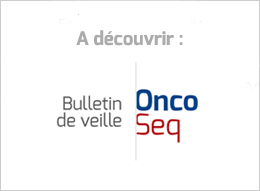 Afatinib is approved in patients with advanced SqCC of the lung whose disease has progressed after treatment with platinum-based chemotherapy and in patients with specific types of EGFR mutation-positive non-small cell lung cancer (NSCLC). Analysts see little to distinguish this PD-1 from the rest of the checkpoint field. But the next step in I/O involves a slew of combination therapies that will look to change the landscape on frontline therapies. In the end, the 2004 tax holiday cost the US government $3.3 billion in lost revenue and did nothing to increase employment or investment in research, according to a Senate report. The buyer interest is no surprise, considering the prices Big Pharma has paid over the last couple years to add drugs in the fast-growing cancer field. Seattle Genetics was one of 33 parties to receive detailed due diligence information on IMMU-132. Several parties got as far as submitting term sheets, but Seattle Genetics, which Immunomedics said “moved aggressively”, was the first to get an offer accepted. It’s not clear whether anyone else will step in with a better offer. Immunomedics has been shopping itself and its drug for some time without finding any takers. Sacituzumab govitecan is in a phase 1/2 trial for patients with triple negative breast cancer (TNBC), as well as multiple other solid tumors. IMMU-132 (sacituzumab govitecan) fits squarely in Seattle Genetics’ comfort zone. It is an armed antibody that contains SN-38, the active metabolite of irinotecan, designed for precise delivery to avoid off-target toxicity. If the preclinical evidence requirements for efficacy are already too low, then lowering the clinical requirements for efficacy (e.g., by approving drugs based only on biomarker changes) will be an even bigger disaster than I thought before, because more ineffective drugs would be approved. Speaking at a conference in Seattle on Wednesday, Dr. Margaret Chan warned against loosening the rules governing the safety and effectiveness data that drug companies must supply to win marketing approval from the FDA. EU PAS Register increases transparency of research in medicines after they have been authorised in the EU. After concluding that large drug companies are inefficient because they’re large, and small drug companies are inefficient because they’re small (no, really, that’s pretty much how the article goes), the authors then propose to do drug discovery and development without drug companies at all. Top UK and US scientists say high cost for medicines is indefensible as they propose cheaper way to develop them. This failure means that more than 70,000 people in the last 3 years have waited longer than the 62 day target to start treatment. Fewer than 7 in 10 children diagnosed with cancer in 1990 survived for at least 5 years. But new figures from the Office of National Statistics estimate this to be more than 8 in 10 for those diagnosed in 2015. Sir Alasdair - who was the chairman of the UK's Medicines and Healthcare products Regulatory Agency (MHRA) for almost a decade - said companies could be slower to seek permission for Britain alone, as they may need to pay for a separate assessment of their product for use in the country. “The main thing I wasn’t ready for was the reaction of listeners,” says Hewlett. “I wanted to open myself up, to talk about what has been happening, but I didn’t imagine people would get as much from it as they have." Cancer Research UK set up Grand Challenge in 2015 and committed up to £100m to this new approach to help increase the pace of research. Originally, the plan was to fund 1 team. But the quality of the shortlisted teams led the panel to recommend we fund 4, which we’re announcing today. The draft guidelines set three clear goals: to help promote the use of ORCID iDs by authors by increasing visibility in the publishing process; to provide clear display options to support consistency in implementation and use; and to provide criteria so publishers can assess display effectiveness. This was a missed opportunity to provide context because in reality the evidence doesn’t support regular breast self-exams as being useful (which goes against what many women are told every day from their doctors), and there are other, important things women should know about breast cancer prevention. In these unprecedented political times, remaining apolitical is not an option. The citizens and institutions of this nation can either speak out against the discriminatory policies of the President or stay silent and let them become part of the fabric of our society.